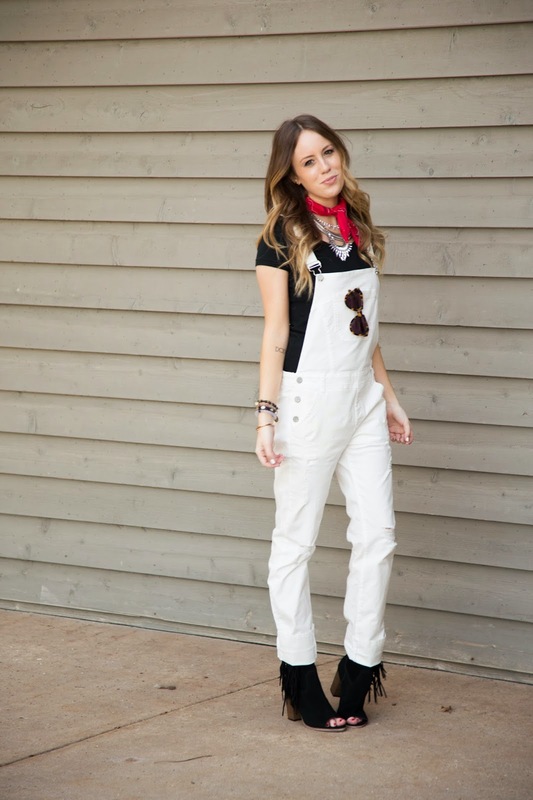 'When in doubt add a bandana"
Loving these white overalls! 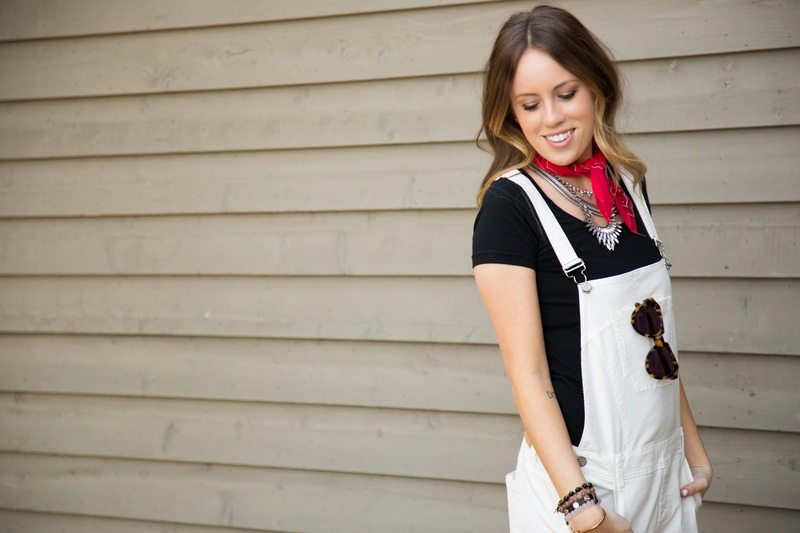 So easy to throw on this Spring. I can't wait to pair these with a cute crop top and sandals to change up the look. Also, sorry I can't stop wearing these fringe booties!!! DCXV=615. Mine is DXII. And I really do live in Chicago. Hope you get your store restocked soon. :) I got mine in Nashville. And the site is restocked the few that are sold out were custom and won't be coming back.